I am married to the most beautiful (in my eyes that is) and wonderful lady, therefore when we go for our holidays I sometimes look for Romantic hotels to pamper her. I normally look out for their honeymoon packages cause there’s a lot of romantic things that go with the rooms. Below are my review of some of the hotels that we have stayed. At Avillion Port Dickson we took their honeymoon package. It was my wife’s birthday and I wanted something unique for her. Avillion didn’t let us down. The room we had was a water chalet on the ocean that had an open air shower area as well as bath tub. The package comes with a bouquet of roses, candlelight dinner for two at the Crow’s Nest, a neck as well as face therapeutic massage also for two along with two nights stay with breakfast. This resort is actually surrounded with lots of greeneries so much so that my spouse commented she feels like we were in another country not close by to Kuala Lumpur. The meals were normal. We had our candle light on the outdoor patio which was pretty romantic cause| you are able to view the ocean. Services were good. Since there were very few people dining we had the terrace to ourselves. Breakfast was average however it’s alright as we are not big eaters. Avillion Port Dickson is situated on the 3rd mile of the 18km stretch of Port Dickson beachfront. It’s just near to the town however once you are within the resort, you will overlook that the town is actually close by. Spread over 17 acres of property, this resort offers 300 rooms comprising of the beachfront rooms, garden along with water chalets. The resort is designed was created with the concept of a traditional Malay fishing village with chalet upon stilts on the ocean. The landscape surroundings the resort is beautifully well kept. The dining places here are Crow’s Nest, their all-day dining restaurant offering a mixture of a combination of Local as well as International a-la-carte delicacies at any time of the day. The Village Court is an open-air restaurant as well as being in the vicinity of the swimming pool that a variety of light food and beverages. Coming from the lobby you will find the Gallery Lounge which is also open-air bar where you will be entertained by a live band during the night as well as a Karaoke which have several karaoke rooms that can sit up to 40. For activities there is cooking classes for children, a mini petting zoo. For adults you have your own adult’s pool and a space which is on the ocean. Avillion is my No. 1 suggestion for couples to come for the honeymoon. Even though you are married for a long time, you can still have another honeymoon like what we do. Cameron Highlands is famous for their cool weather, roses and strawberries. With these settings it’s a really romantic place to be with. For a truly romantic feel with an English Charm, try out this hotel called the Bala Chalet. The hotel is converted from an old English Boarding School. The hotel is very charming, the rooms also gives you the feel of an English Inn. The hotel is also not too expensive as the Ye Olde Smokehouse. But the only setback with this place is its food outlet. It’s rather small and there’s not much variety. Other than that you just need enjoy the place and gardens. That’s what I did; just sit by the garden with my wife and just chit chat. The hotel is located on a hill with lush greenery around. So it’s really beautiful when the weather is colder and there’s a mist around. As it’s away from the main road it’s rather peaceful. For tea and scones go to this little quaint café above Marrybrown Fast Food in Tanah Rata. This charming English style inn is located on a hill overlooking lush greenery. Bala’s Chalet is located in between Tanah Rata and Brinchang. It was a boarding school in 1934 for the European expatriate’s kids as a branch from the much more well-known Tanglin school in Singapore, that started out with 150 pupils along with 22 qualified teachers all recruited from| England. It’s a very enchanting place and is very tranquil. Particularly through the night. The bedrooms are also decorated to complement their English Inn theme. Their scones are good however a little costly. Personally I feel the ones offered in the Lords Café (formerly T Cafe in Tanah Rata tends to be much cheaper as well as tastier. 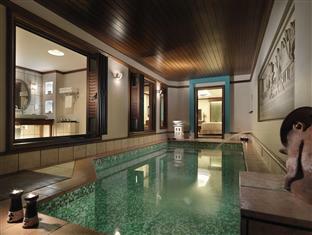 The resort features cozy rooms designed with an English Theme. With a Cafe| that serves home cooked curries, western dishes as well as traditional Malaysian dishes. But you can always go to Tanah Rata or Brinchang for some food since the hotel is situated in the middle. 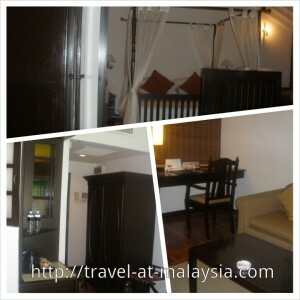 Impiana Resort Cherating is definitely an ideal destination for a romantic escape by the beach. Impiana Resort is located among what I feel is the best spot of Cherating Beach. 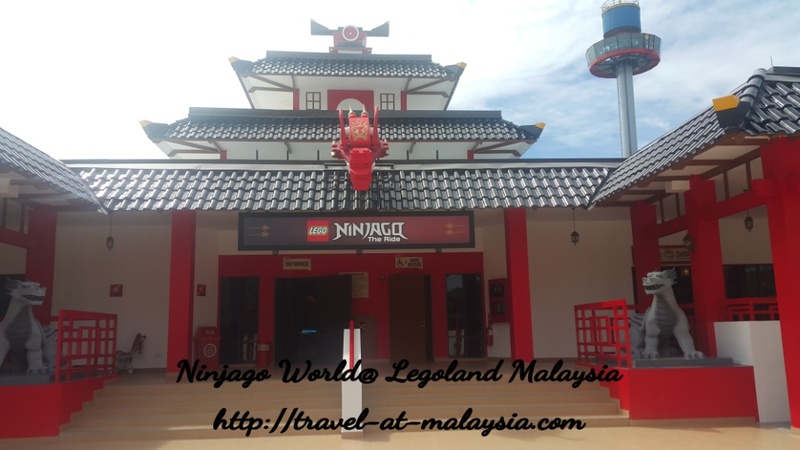 The resort is about 4 hours drive from Kuala Lumpur which is accessible by means of East Coast Expressway (Route E8), the rooms are designed with a traditional Malaysian, with a four poster beds. Almost all rooms have a view of the sea and the sound from the waves crashing on the seashore can be heard from your room. The Impiana is situated in East Coast’s finest sandy shorelines therefore the beach there is clean and captivating especially on full moon nights. As there are not many resorts around so the area is rather quite. What we did here was have a night picnic where we got a small electric lamp and some finger food. Layout a mat and sit and enjoy the cool breeze and the heavenly sound of the waves. We also enjoyed the long walks on the beach, it was really romantic. Actually it was where we both fell in love as we were working there. Occasionally we go back there to recreate those romantic moments. Impiana derives from Malay word “impian” which literary means dream. Resort was designed to resemble a traditional Malay lifestyle. All rooms are charmingly furnished with wooden flooring, traditional four-poster wooden beds giving the room a romantic feel. Every room allows you to be nearer to nature and wake up to the relaxing sound of the ocean since almost all rooms face the ocean and is 300 meter from the beach front. Amenities in most rooms includes a features long bathtub only available in Superior Deluxe and Suites, air-conditioning, ceiling fan, mini bar, room service, television as well as coffee and tea making facilities. The balcony is rather small, only standing room however there is a day bed by the window that opens out that you can enjoy the sea breeze. Kedai Kopi café is an airy restaurant hat offers a variety of Malaysian as well as Continental dishes. The design of the restaurant is a local Malaysian Kopitiam. They even have the green flower cups. Half and hour drive towards Kemaman town you will come across shops selling Keropok Lekor and Satar, an excellent option for mid-day tea. In addition in the direction of towards Kuantan, you will come find Kampung Cherating which is full of seafood restaurants. Grand Lexis Port Dickson can be found at the end of Tanjung Gemok beach. The landmark to look out for is Glory Beach Resort. Glory Beach Resort is easy to notice simply because it’s a three high rise building looking similar to an apartment complex. Grand Lexis is located just after Glory Beach Resort. As mentioned above there are three categories of rooms. There’s the Water Villas which is on stilts on the sea, Sky Pool Villas which is located in the hotel block as well as Garden Villas which is designed like residential houses. Apart from the room there are games as well as activities available around the resort to cater to the needs of most ages. You can purchase the Activity Passport which cost about RM68 per booklet. It is basically a booklet of vouchers that can be used anytime for the activities around the resort which includes segway, archery, table tennis, cycling, video games tokens, nintendo wii video games and many more. In addition there are discount vouchers for the F&B Outlets as well as free cake along with coffee. It’s really good value in the event that you intend to do several activities and you are staying for more than 3 days. As for the restaurants there is their all day dining restaurant, Duyung Restaurant that serves daily buffet breakfast, Genn Japanese Restaurant open for lunch and dinner and the Lanun Bar which have live band performance every night except Sundays. The Lanun Bar is designed to look a pirate’s bar. But for me I ordered room service and just stayed in the room with my wife.